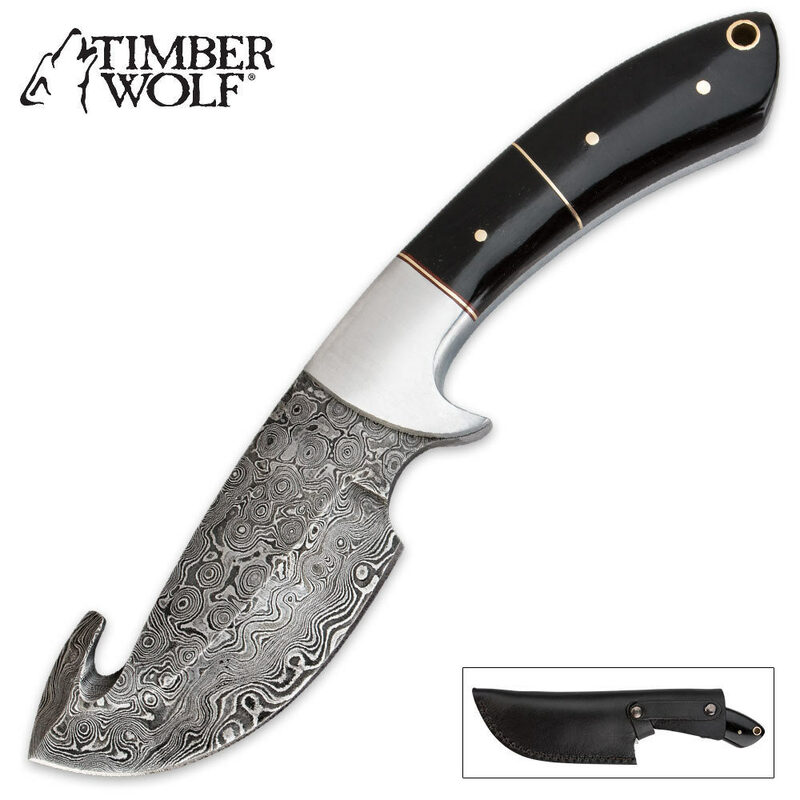 Timber Wolf Buffalo Horn Damascus Steel Gut Hook Skinning Knife | BUDK.com - Knives & Swords At The Lowest Prices! Timber wolf continues to deliver quality blades at attractive prices, and this new buffalo horn and Damascus steel gut hook skinner knife is no exception. This full-tang knife features a 4" Damascus steel blade with a sharp curved edge and gut hook tip. The genuine buffalo horn handle, colorful spacers, brass hardware and file-worked scalloping accents add an elegance factor and give this skinner a custom look and feel.